We live in an era of health hype and nutrition propaganda, and we’re suffering for it. Decades of avoiding egg yolks, choosing margarine over butter and replacing the real foods of our ancestors with low-fat, processed, packaged substitutes have left us with an obesity epidemic, ever-rising rates of chronic disease and, above all, confusion about what to eat and why. 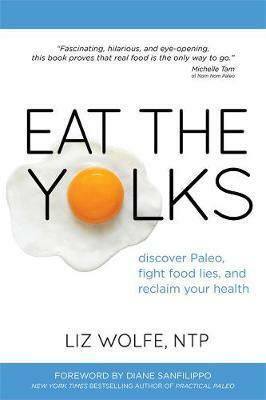 In Eat the Yolks, Liz Wolfe debunks all these myths and more, revealing what’s behind the lies and bringing the truth about fat, cholesterol, protein and carbs to light.